Astana for 2008 is a stage racing squad. The team’s three headlining riders who have finished on the Tour podium — each of whom are confident they can win in Paris in 2008 — met to ride together in Astana colors for the first time this week at training camp in Albuquerque, New Mexico. 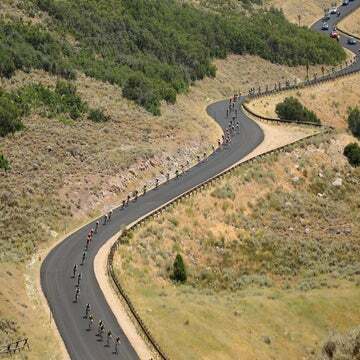 The three men of course are Spain’s 2007 Tour champion Alberto Contador, the United States’ Levi Leipheimer (3rd in 2007) and Germany’s Andreas Klöden (2nd in 2006 after Landis’ exclusion, 2nd overall in 2004). Johan Bruyneel, Astana will be run by directeur sportif Alain Gallopin, along with assistants Sean Yates, Viatcheslav Ekimov, Alexander Shefer and Andrey Teteryuk. Bruyneel is the figurehead, who said he has taken on the team as a challenge. Changing the public’s image of Astana — marked most notably by the doping-predicated team expulsions from the 2006 and 2007 Tours — will certainly be just that. For the team, one-third of which is composed of Kazakh riders, performing in competition remains the primary challenge. Leipheimer will begin his season in mid-February, defending his title at the Amgen Tour of California. Klöden, who was recently sidelined by illness, has pushed his first target back to Tirreno-Adriatico, which he won last year. And Contador has again pegged March’s Paris-Nice as an early season goal. 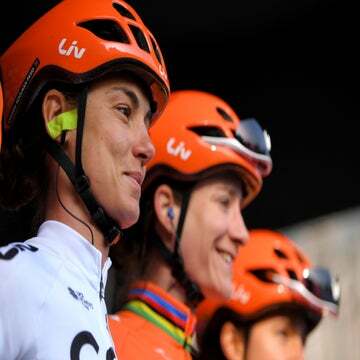 Yet all three have the ever-present Tour de France at the front of their minds — and training schedules. After years of riding in support of riders like Jan Ullrich and Alexander Vinokourov at the Tour, Klöden is confident he can do the top job himself. Leipheimer, 34, was just 31 seconds from the Tour title last year. He hasn’t written himself off for overall victory this year by any stretch. As to who the team leader will be, time will tell. “The race puts everyone into their place,” Leipheimer said. In 2007, Leipheimer and Contador rode as dual captains. 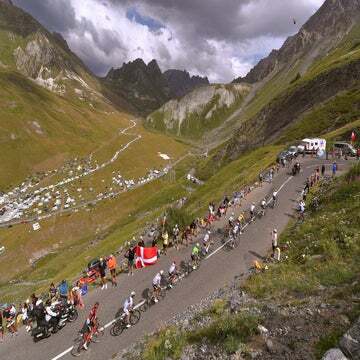 Although Leipheimer put in some attacks to try and set up Contador — such as attacking Michael Rasmussen on the Col d’Aubisque on stage 16 — the American said he didn’t forego his own chances. In all, Bruyneel is confident he has the strongest team on paper for the 2008 Tour de France. Yet bike racing isn’t all about the Tour. And while Astana has a top-shelf stage race squad, its classics cred’ is not quite as solid. “I hope I’m wrong, but I think the quality of the team for the classics is going to be a little bit of a weak point,” Bruyneel said. The classics team will be anchored by Vladimir Gusev and Tomas Vaitkus. Gusev, a three-time Russian time trial champion, has twice placed in the top 10 at the Tour of Flanders, and scored and eighth place at Gent-Wevelgem. Vaitkus, a former world under-23 time trial champion, was sixth last year at the Tour of Flanders. Another classics card Bruyneel and Gallopin have to play is American Chris Horner, a new 2008 signing who has done as well as 8th in Liège-Bastogne-Liège. But then again, Quick Step won’t be an Astana at the Tour.